Rise to meet customer expectations. It’s not enough to simply do a “good job” anymore. With all of the communication tools available to customers, service organizations must push to exceed expectations - which is hard to do from the back office. Even if your dispatch team uses the latest technology, your customers won’t see it if your field techs arrive late with missing parts. Mobile tech is an investment in solid workflow and in your people. With the right mobile tools your technicians can arrive on-site on time and with the right parts. They will be able to communicate with the back office in real time using messaging, have access to current inventory and be able to order parts from the field. Your techs will be able to work harder and with more accuracy, improving first-time fix rates and creating an environment of trust for your customer. Create an opportunity for upsell. 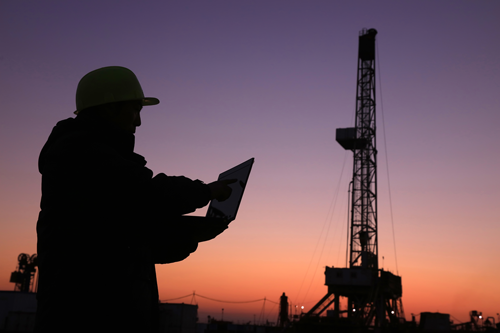 Since customers are more mobile than ever, they expect that their field techs also use technology to stay up-to-date, and they expect certain outcomes like accurate information and instant communication. Investing in mobile tech caters to customer expectations and if executed correctly, can lead to a bond or loyalty between that customer and your brand. This connection coupled with a knowledgeable technician can easily result in more sales and upsell opportunities. After all, a customer is more likely to listen to a pitch from a tech that just went above and beyond their service call rather than a tech that arrived late and finished late due to bad information. The right mobile technology allows your field worker to access customer information on the spot so they can make informed decisions on what to offer them at any stage in the customer journey. Your field workers are essentially your ambassadors. They represent your brand experience, vision, and personality. Investing in mobile technology that empowers them and inspires confidence is a step forward but they also have to be willing to add value to the customer experience. Field techs must use mobile tools to make the right decisions about when and how to communicate to the customer, they must remain courteous and calm throughout the service call, and they must stay informed - technology is useless if not used correctly and often. This is where your dispatch team comes in. Dispatch can push the use of your mobile technology by communication through it and directing field techs to the right information. If there is transparency from the field all the way to the back office then the customer experience becomes more fluid, a relationship is built, and your technicians become more valuable. Each time you dispatch field workers using outdated information and tools, you hurt your bottom line and create a negative impression of your brand. A mobile tool like ServicePower's uses work order management, real time scheduling, and parts management to improve first-time fix and satisfaction rates, resulting in more service calls and empowered technicians. Sarah is a writer and blogger with industry experience that spans manufacturing, digital marketing, travel, and retail. She is excited to share ways to improve service in the field through technology and adept service management.